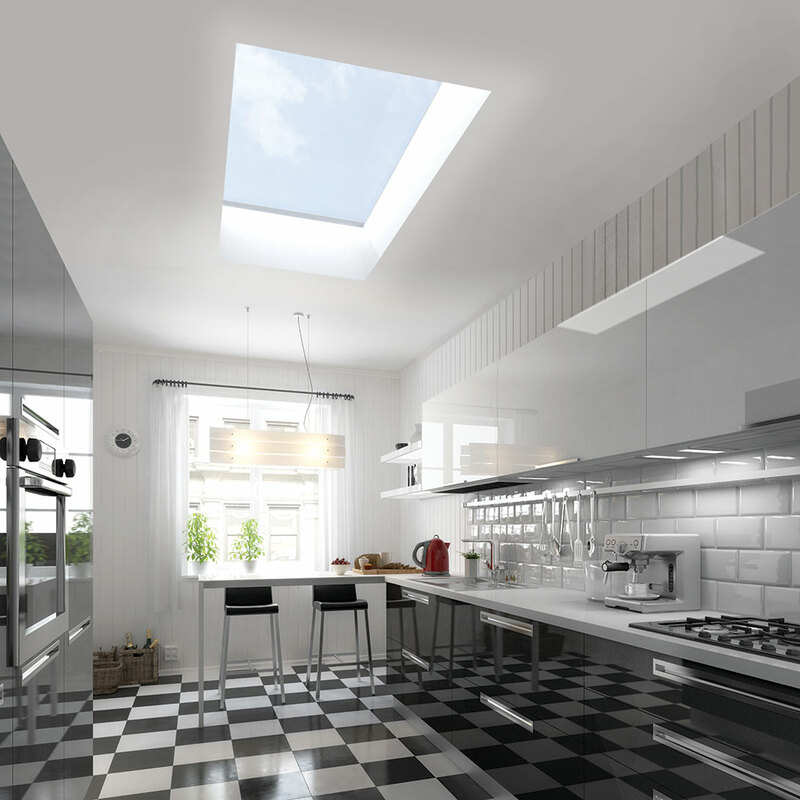 Our Ultrasky flat skylights have sleek frames that are invisible from the inside to give your home a modern look. With insulated frames and long-lasting gaskets, you get a warmer and dryer home with reduced noise as a bonus. Our flat roof lanterns come with a 10-year warranty from the manufacturers to give you complete peace of mind. 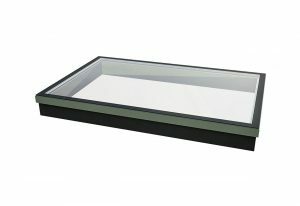 Our Ultrasky flat skylights come with the assurance of UK’s leading manufacturers of flat roof lanterns, Ultraframe. These exquisitely-crafted flat roof windows are designed to augment the performance and embellish the look of your Clacton home. These roof windows have frames that are insulated so you get exceptional thermal performance. They are also fitted with advanced gaskets for intensive weatherproofing. 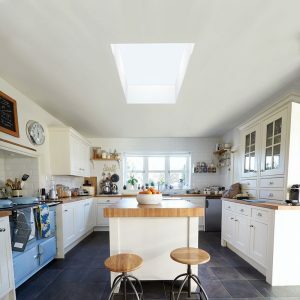 Your home will also benefit from the noise insulation these skylights provide, making your life warm and comfortable, as well as calm and peaceful. The durable flat skylight structure is designed for a speedy installation, with its clever click-fit installation. Combined with the quick delivery time, it means that your flat roof lantern installation happens quickly and efficiently. With the stunning designs and the vast choice of colours we offer, you can customise them to the style, décor, and look of your home. 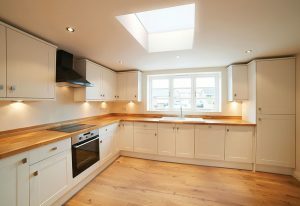 As a result, you not only get a beautiful design feature for your house extension but also an inordinate amount of sunlight to brighten up your home. We offer you such a high level of customisation that it doesn't matter whether your home is old or new, modern or heritage. 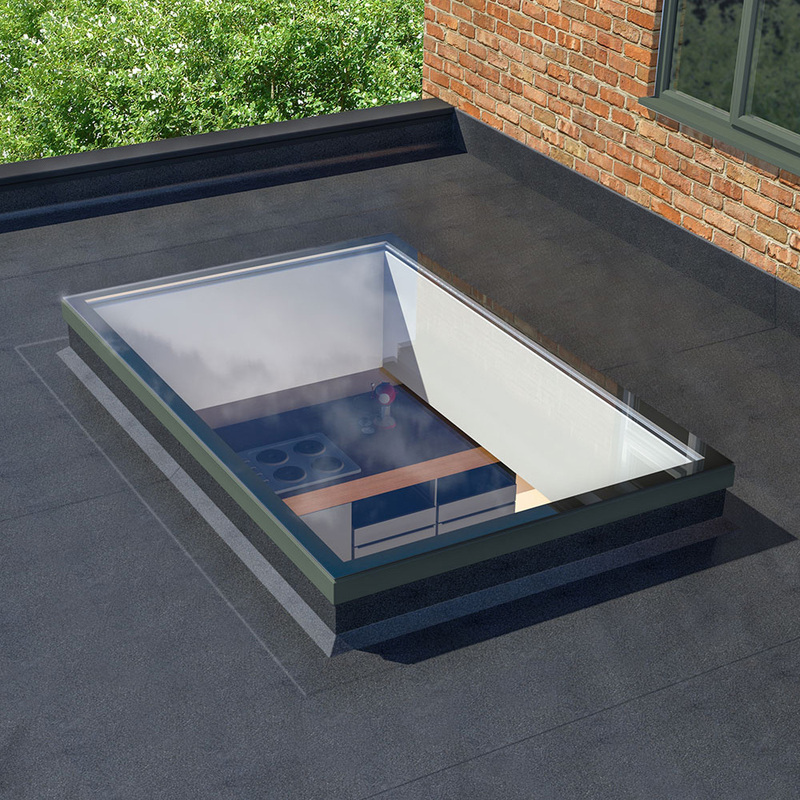 Our flat skylights can be tailored to fit in seamlessly with the building style, making them seem like an integral part. Since the flat roof lantern frames come with an insulated core, your room benefits from better thermal efficiency. This helps you create a warm and comfortable environment inside, while also reducing your energy bills for heating. We understand that you may not want a long-drawn installation that may disrupt your daily life. This is why we give you pre-fabricated flat skylights that have a click-fit installation. You can get to enjoy your flat roof windows in not time at all! With Ultrasky flat skylights, you get roof windows that look as exquisite as their performance. These slimline windows are cleverly designed so that you don’t the frames from the inside. This gives you a flat roof window that appears sleek and chic and gives you a soothing view of the sky. They also help brighten the room with extra light. This is especially useful for rooms where conventional windows aren’t possible. They make your room look bigger and more welcoming. Additionally, they also reduce the amount of noise that gets in. This results in a room that is calm and relaxing in addition to being bright and well-lit. While the frames aren’t visible on the inside, they still need to be compatible with your property from the outside. This is why we offer an extensive selection of designs. Additionally, you can get them in the colour of your choice. While Black, White, and Grey are offered as standard, you have the option of choosing a bespoke colour from a spectrum of RAL colours. The result is minimalist flat roof windows that integrate seamlessly with your home to give you stunning looks with contemporary features. With our flat skylights from Ultraframe, you get amazing performance that will last you years. 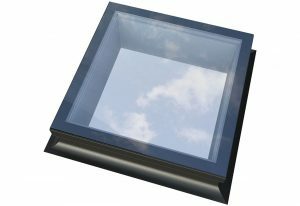 These flat roof lanterns give you impeccable thermal performance. The insulated frame core helps you retain the heat inside your rooms. This means you don’t have to run the heating on for as long to make your room warm. In fact, you can get a U-value of up to 1.2 W/m2K with our flat roof windows. Additionally, we install them with state-of-the-art gaskets for a better seal. This helps in keeping out any draughts or rainwater seepage, giving you a warm and dry home to enjoy. It also helps in reducing the amount of noise you get inside, making your home a haven of peace and quiet. With our online quoting engine, you can get bespoke and competitive flat skylight prices almost instantly. 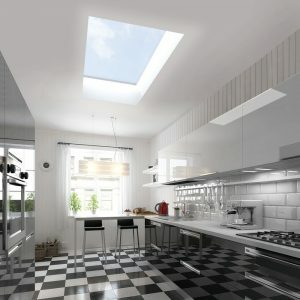 Use it as many times as you like to customise your flat skylight prices to your liking and budget. You can also contact us using our online contact form, and speak to someone from our team. We will gladly answer all your questions about our products and give you your flat skylight quote.